Typically a quarter steer will yield enough meat to feed a family of 4 (eating beef once a week) for 1 year. If you eat beef more than once a week, you may want to consider a half steer. Please let us know if you have any questions, we're happy to help. Organic 100% Grass fed Angus beef, dry aged to perfection is the healthy choice. Did you know, 4 of the top 5 sellers of grass fed beef purchase cattle who have been fed distiller grains and soybean hulls? They continue to advertise them as 100% grass fed even though they're not. Many sellers of grass fed beef are buying, rather than raising, cattle in order to keep up with demand. Is your beef coming from a farmer, or someone who procures beef? EatWild.com has a list of farmers who are committed to raising animals on a grass based diet. Be careful though, some farmers have a few steers on grass, but they buy the majority of what they sell. It’s labeled with their farm’s name and shipped to them for distribution, however, the steers never set foot on their farm. At Forest Hill Farm we raise registered Red Angus cattle. Angus is the gold standard of beef. 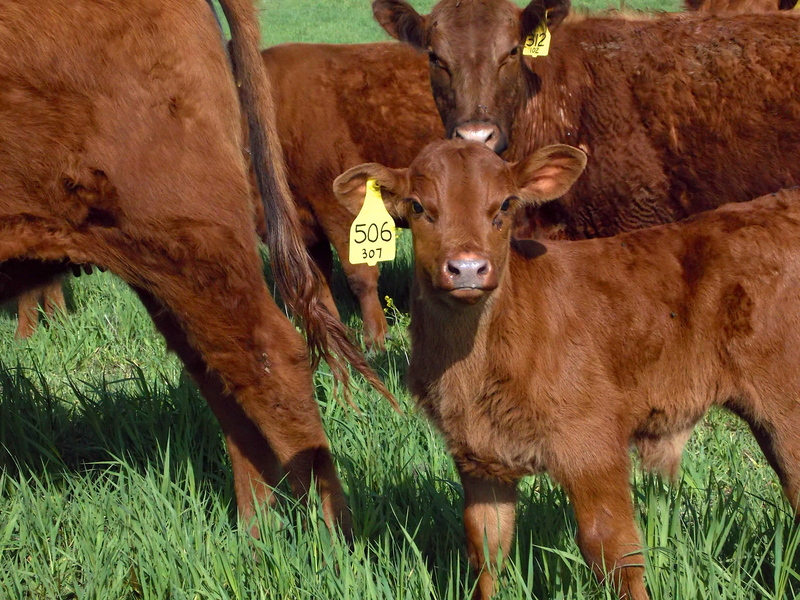 Our cattle are raised and grazed on certified organic pastures. An added benefit - our beef is dry-aged. Dry aged beef is tender and full of rich flavor. Also, we MIG graze which improves the soil, sequesters nitrogen, and adds to the microbial activity of pastures and prevents the desertification of land.